The Institute for Fiscal Studies (IFS) said the proportion of the workforce covered by the minimum wage was likely to triple to 12% between 2015 and 2020 – drawing in groups vulnerable to automation such as receptionists and shop checkout operators. Above-inflation increases in Britain’s minimum wage are putting a growing number of workers at risk of being replaced by machines, one of the country’s leading thinktank has warned. With the minimum wage now 20 years old in this country, it’s striking how often the same old arguments are trotted out against it. The latest missive from the Institute for the Institute Fiscal Studies appears to be a variant on that theme. The think tank warns that increasing it too much could help to encourage automation, and thus cost jobs. The robots are coming! A month ago, over 300,000 people chose to enter their job titles for the site’s “Gaussian process classifier” to rate just how doomed they are. It estimated around 47 percent of UK jobs are at risk of being completely automated. This lays bare a genuine and growing concern over job security. The retail sector, especially those who work within warehouses and delivery for large online retailers have already begun to experience this transition. A recent study by the Institute of Fiscal Studies (IFS) has helped to legitimize these fears. 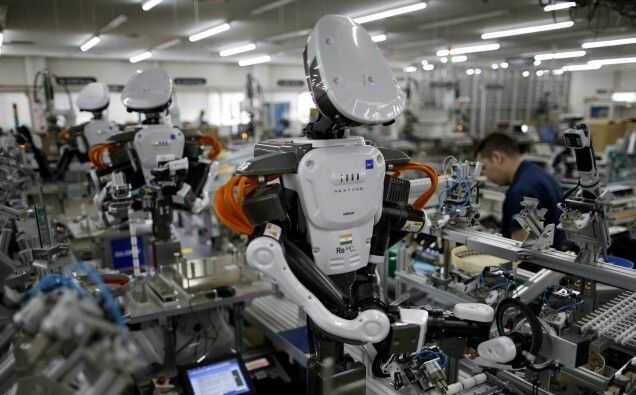 It posited that a rising minimum wage will inevitably lead to increased automation. As an industry which relies so heavily on high turnover minimum wage workers, who are set to see their wages rise incrementally for the next two years, retail is predicted to be the worst hit sector in the UK. Of course, the UK has vastly different delivery demands, and will likely use automation to solve cost issues rather than expansion limitations. What’s more reassuring for our retail market, is the idea that the automated drones themselves will create jobs. Menial jobs which can easily be replaced by automation likely will, but instead of simply taking up jobs of people, they are creating an entirely new industry.